This handmade baby quilt is machine sewn and machine binded. It is made with all cotton fabrics and Warm & Natural brand batting. The front has a black floral print with lime green squares and purple/pink stripes. 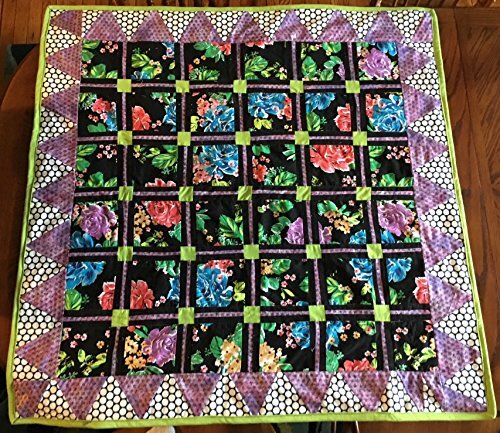 It has a boarder made with triangles of black and white polka dots and purple/pink. If you have any questions about this product by Home Before Dawn, contact us by completing and submitting the form below. If you are looking for a specif part number, please include it with your message.